It’s the first time the 75-year-old army unit has been deployed to assist in a hurricane relief effort, a spokesman for the 101st told WCBS News. Many residents remain without basic necessities six days after Hurricane Maria, a which reached Category 4 status battered the island with winds of over 150 mph (241 kmh), killing at least 16 people and leaving 3.4 million residents without power and nearly half of the population without access to drinking water. Only 21 of the 69 hospitals on the island have power or fuel, according to WCBS. The Puerto Rico Electric Power Authority reported 80 percent of the transmission system and 100 percent of the distribution system are damaged. The Army Corps of Engineers have reported that the Guajataca Dam, which was earlier reported “cracked” and in danger of failing, was intact but in need of reinforcement to ensure stability. 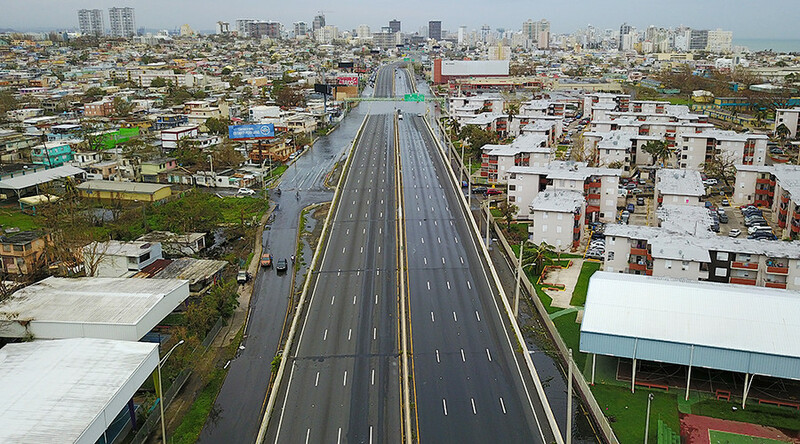 The San Juan International Airport and seven other airports are open, or open with restrictions, and the Port of San Juan and seven other sea ports are open or open with restrictions. Many residents are waiting for help from the federal or Puerto Rican government, but the scope of the devastation is so vast and relief efforts have so far been concentrated in San Juan, with many people outside the capital saying they have received little to no help, according to AP. Puerto Rico is 1,000 miles (1,609 km) away from the US mainland. The US Department of Homeland Security is considering a request by Congressional members to waive shipping restrictions on Puerto Rico. Under the Marine Merchant Act of 1920, commonly known as the Jones Act, all goods shipped between waterborne ports of the US must be carried by vessels built in the US and owned and operated by Americans. “The island is now facing an unprecedented uphill battle to rebuild its homes, businesses and communities. 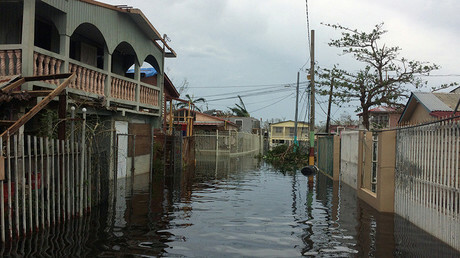 Temporarily loosening these requirements – for the express purpose of disaster recovery – will allow Puerto Rico to have more access to oil needed for its power plants, food, medicines, clothing, and building supplies,” wrote Representative Nydia Velazquez (D-New York) Monday in a joint letter along with seven other members of Congress. The Jones Act was suspended from September 8 through 22 to allow shipments to Texas and Florida in the wake of Hurricanes Harvey and Irma. Puerto Rico was included under that waiver for petroleum products but the Trump administration hasn’t issued a similar decree after Hurricane Maria. A request for a pass must be in the interest of national defense, according to the law. The congressional letter also calls for the DHS to forgo federal regulations that requires Federal Emergency Management Administration (FEMA) to enter into a cost-sharing agreements with the state, or in this case Puerto Rico. FEMA is the government agency that assists states when there are disasters due to hurricane damage or such related natural disasters. The central government and local authorities enter into agreement to share costs in the recovery and rebuilding efforts. Sometimes they match government funds or match a portion of the amount of funding. Congresswoman Velazquez argued that the island’s current economic conditions have already pushed its scant financial resources to breaking point. There are several thousand US federal employees already helping in Puerto Rico helping with the recovery efforts. Those federal workers have supplied diesel to generators at hospitals and delivered food and water to worst affected communities across the island. They have also repaired air traffic control units and power at the airport, while the Coast Guard has worked with local authorities to restore the sea ports as the island is almost completely dependent on imports. FEMA is preparing to ship 350 satellite telephones to help response communications across Puerto Rico and the US Virgin Islands. The disaster agency has asked the defense department for additional medical support for both islands.